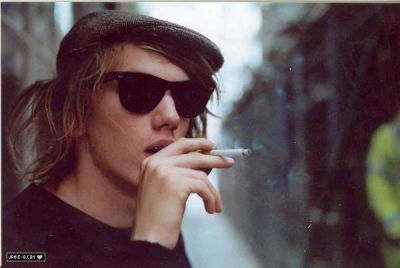 Discuss everything about Actor Jamie Campbell-Bower here. Originally, I was suprised. I imagined Caius to be much older! To me he looks more like Alec, and could be Jane (Dakota Fannings) twin. But im not gonna moan as im sure he will do a great job! I liked his character in Sweeny Todd, make up is so much better these days and im sure the end result will be great! And good luck to him! Wow. He looks so... young! I was expecting someone on the late twenties, I guess. But I'm kind of pleased with his cast. He looks evil and he's a pretty guy... I think he'll look quite scary with white hair and pale complexion. Definetely vampire-like. Let's wait and see. 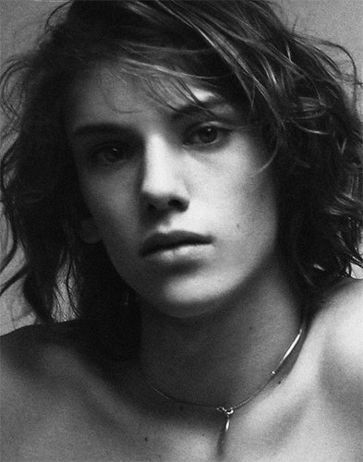 you got to read this about Jamie Campbell bower. is it just me or does he have a gay vibe in this video. i have nothing against gay's but i'm just sayin. his body language, all the rings, unbuttoned shirt, the necklace. I'm not saying he is so please dont throw stones at me. it's kinda funny since there have been people saying they think Aro is gay. he is a cutie though...and he did pull of creepy in Sweeny Todd. I guess from his smile I can't see a mean and spiteful vampire. Caius has always been one of my least favorite characters simply because I saw him and Aro as so evil. I'll definitely hold judgement until I see the movie though. Shiny new thread! I am glad Jamie got the part. I never really thought about him being Caius but I have seen his work (he was really good in Sweeney Todd! ) and I think he will be able to pull it off. I always took "white hair" as meaning platinum blonde. I never thought the Volturi were old because of the way they were portrayed in the painting in Carlisle's office. I think that they'll have to put a ton of make-up on him anyway so its facial structure that matters more than anything else, and I think he has the facial structure. I can totally see that but then again he could just be wearing jewelry to be stylish. Well as far as what I think I didn't really imagine the Volturi being old as dirt like some people think because they are vampires. In the book they don't necessarily say that they look old but that they have white transparent skin. Still I wasn't expecting Caius to look like this guy and I'm pretty surprised but in a good way about it. I really didn't want them to cast people as old as Sean Connery or Antonio Banderas. 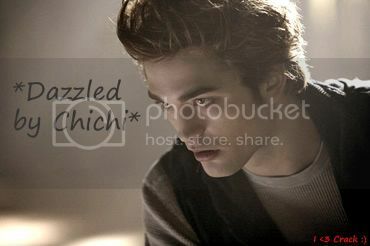 I always thought of the Volturi being in there twenties to thirties. Still I can understand how you expect them at the least to be as old as Carlise. I know that they want to appease the young teenagers, but maybe they want to cast them young for other reasons. It does seem more menacing for them to cast younger actors to play the villians--scary. Instead of going for the stereotypical old evil vampires. Besides I think he's kind of cute I love the whole adrogynous look he has going on. I might just become Team Volturi I always love the bad guys. Actually truth be told I see him more of an Alec.